Around 6 a.m. Saa went looking for help and came across a herdsman. She begged him to help her and her friend who had escaped Boko Haram, but he was scared at first. To help them was to put himself in jeopardy, but he did it anyway. He put Leme on a bicycle and they rode to the girls’ hometown, where they found their parents and family members sobbing. As Saa told her story, I felt myself holding my breath. I am not sure why I thought my breathing would affect what she was saying, but I think I was just bracing myself for the worst. She spoke about how all she wanted was to get her education so she could become a doctor. She said she wanted to go back one day and help Chibok and Borno State prosper. But for now she was happy to be in the United States because she felt safe at school. I spoke with Saa one-on-one afterward and asked her how she was adjusting to life in the United States. I told her that I was born and raised in Nigeria, so I knew how the culture shock could be. Her smile was very warm and she laughed easily. I didn't take a picture with her or of her because it just didn't feel right for me to do so, and I didn’t want her to feel even more vulnerable than she already might feel. I cannot imagine the trauma of being kidnapped by the most notorious terrorists in Nigeria. I cannot even fathom how she could process how close to harm she was. She used to wake up from nightmares screaming. She is finally feeling safe again. Saa is one of four kidnapped girls who escaped their captors and have been brought to the United States to continue their education under the Jubilee Campaign’s Education After Escape Fund. Although getting them here has not been easy, more of them will be brought soon (visa and financial issues have slowed down the process). You can help bring more of the girls here by donating to the campaign. 2 Children Found Abandoned in Long Beach, Calif. 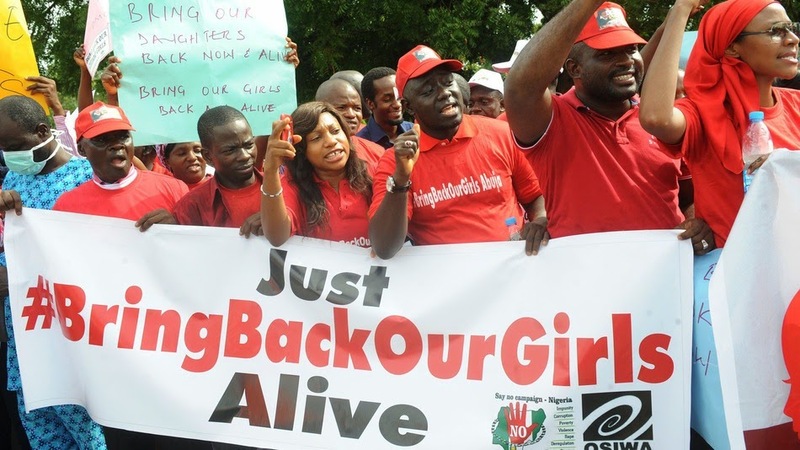 Almost 300 girls were kidnapped in Chibok, and only 57 were able to escape. #BringBackOurGirls; bring back the daughters; bring back the sisters who just wanted to learn and ended up in the hands of devils. This girl, who just six months ago was kidnapped at gunpoint with her friends, had the strength and courage to share her story with us, and that was the most powerful thing I’ve ever witnessed.